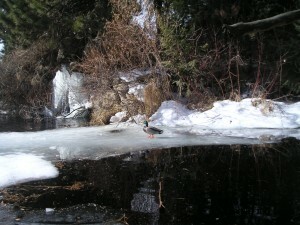 So far, each time I’ve captured those early blooms, the skies turn around and dump snow all over them the very next day! None-the-less, they are out there; this snow, too, will melt; and in a day or so, you will be delighted again by their cheerful, tough little countenances! 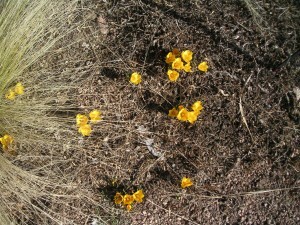 Crocuses (Croci?) 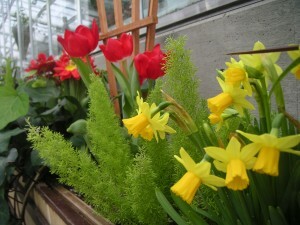 are popping up all over, and nowhere with more abandon than on the warm, south-facing ridge of the Water-Smart Garden. 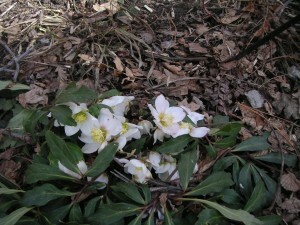 Hellebores can be found tucked in many corners featuring dappled shade. 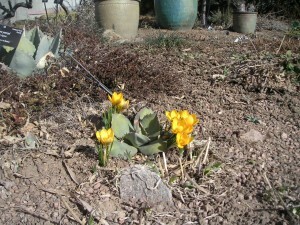 These are thriving in the Rock Alpine Garden. 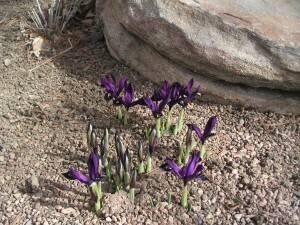 Preview of things to come: when the Mordecai Children’s Garden reopens in just one week, be sure to catch the profusion of Iris reticulata at the bottom of the garden—they are a treat!